I have seen several long exposure photos of dancers in the studio lately. They fascinated me with their ghostly shapes, and fluid movement. But I always found that something was missing it needed a bit of a kick. 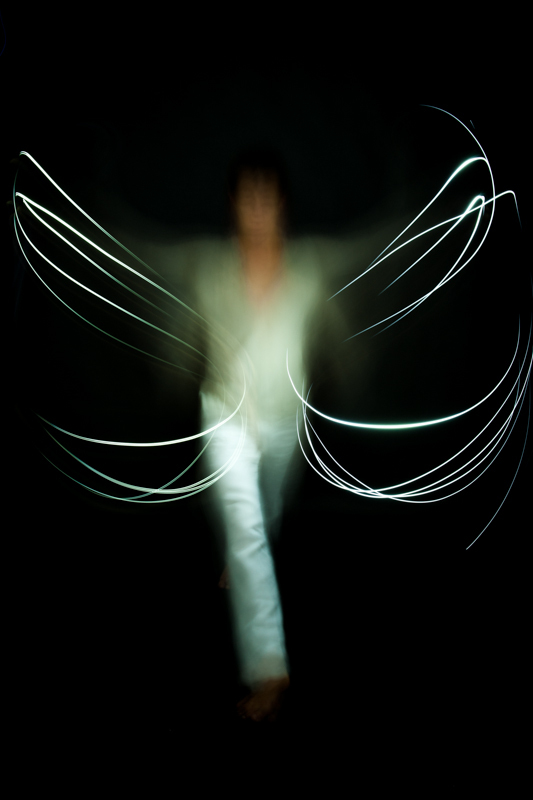 My concept was simple to add light painting into the dancers movements. Luckily social networks allow ideas to come together, both of my associates for this shoot are people that I may have never meet otherwise. I have spoken with Piotr from B.I.K Performances a few times about different projects, but this was the first time our calendars matched. He basically danced 2 hours straight so a special thank you for such a great job. Like every Monday I shoot with another local photographer, my original guest had to work longer but Micha was able to drop what he was doing and join the shoot. This entry is filed under lightGIANTS, Portrait Session and tagged "lightroom", 24-70mm, Abstract, Alpha, Black, Blog, Bowens, Café, Camera, cell, Colour, Contrast, Dance, Dancers, del, Digital, essence, Flowing, glow, Graceful, Karlsruhe, lamps, led, Light, lightGIANTS, Lighting, Mar, Movement, Movements, painting, phones, photo, Photographer, Photography, Photostudio, portrait, Project, Scott, Sony, sticks, Studio, sylights, Symmetrical, through, Time, zeiss. I have been organising the Friday night shoots in the lightGIANTS studio for about a year now. And every time I announce one it amazes me how quick they are booked out. Last month Nadine and Speedy from Zumba Events were in the studio doing their thing.